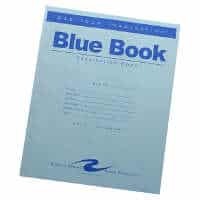 As we tumble toward final exams, I’d be remiss if I didn’t address one of the most dreaded denizens of the season: the blue book essay exam. Nothing strikes more fear into the heart of a liberal arts student than seeing that big blue book, full of empty, lined pages, just waiting to be filled with paragraphs pregnant with novel insight. These exams are tough.But in this post I will teach you a devastatingly effective trick for squeezing out the most possible points once you sit down for the test itself. Of course, this advice assumes you’ve done smart preparation (see last week’s post on exam prep mistakes for some pointers on this topic). But assuming you know your stuff, this advice will teach you how to strut it. There are two ways to lose points on essay questions. First, you don’t answer everything asked by the prompt. Second, while answering what’s asked, you leave out important relevant arguments covered in class. That’s it. If you can bypass these two pitfalls you’ll do well. Fans of Straight-A know my advice for avoiding the first pitfall: outline! The technique is simple. Before you start writing your answer to an essay question, sketch out an outline of every argument you want to cover in your response. (I used to write my outlines on the back cover of the blue book.) This outline should be a bullet-point list, containing just a couple words on each line reminding you of the larger points you want to include. Here’s another tip from the red book: after sketching the outline, go back, look at the question description, and make sure you’re addressing every point it asks. It’s common for students, in their rush to answer, to miss one or more pieces of the question, lurking somewhere deep in a subordinate clause. To address the second pitfall mentioned above – bypassing relevant arguments in your answer — there is only one thing to do: slow down. The start of an exam gets the adrenaline pumping. 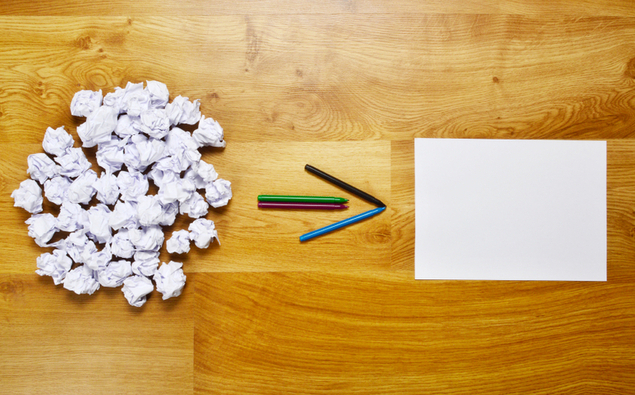 The fear of running out of time motivates you to start writing as soon and as fast as possible. It’s exactly this fear that causes students to blow past those argumentative nuances that make the difference between a B and a A.
Here’s what you should do instead: after you finish sketching your outline for a question stop and think for three full minutes. Literally: look at your watch and time yourself for 180 seconds. While this time passes, quietly ponder the following: What are you missing? What tricky point did you discuss with your professor earlier in the semester that would fit perfectly in this answer? What argument from another topic could be reapplied here to interesting and informative effect? What argument isn’t really a good fit? These three minutes of reflection – and it has to be three minutes; any less and you won’t generate enough new thinking, any more and you might run out of time — can shake loose all manner of insights that you would have otherwise blown right past. I’ll admit, it’s hard to slow down when your mind is screaming for you to keep moving. But these strategic lacuna can make the difference between a blue book God and just another sweat-stained undergrad furiously scribbling like his life depended on it.